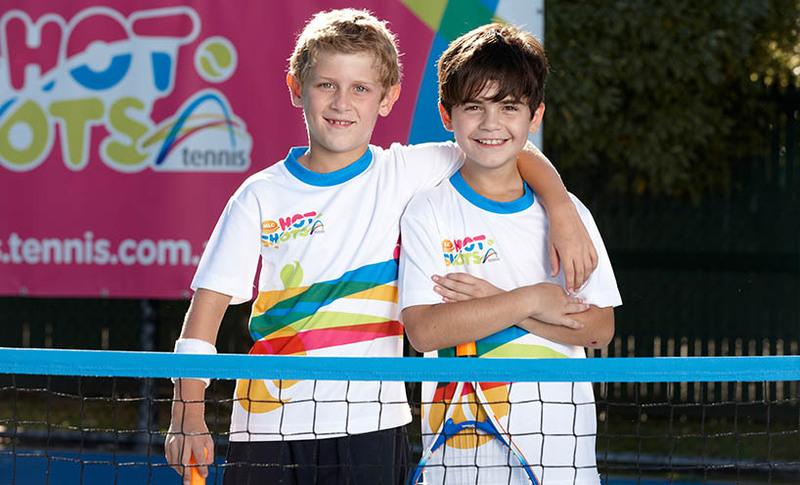 ANZ Tennis Hot Shots Leagues are the perfect way for kids to experience team tennis for the first time. There are two leagues that cater for players of different standards – the Orange Ball League and the Green Ball League. The MCC Glen Iris Valley Tennis Club and Vida Tennis are leaders in developing these playing opportunities. Which league is right for my child? There are two league levels for you to choose from – the Orange Ball League and the Green Ball League. The orange ball leagues are aimed at children who are beginning to play the sport and have developed an understanding of tennis through Hot Shots coaching, Community Play or at school. All players will be aged between 7 and 10 years of age at the commencement of the season. The green ball leagues are aimed at children who have some experience in playing the sport and are participating regularly in ANZ Tennis Hot Shots coaching, Community Play or tennis at school, or have progressed from an Orange Ball League. All players will be aged between 9 and 10 years of age at the commencement of the season. Matches will be first to 4 games with traditional scoring used except no-ad scoring at deuce will apply. If players are tied at 3-3, the next game will determine the winner. The team with the highest number of games won overall will be declared the winner. How long do league matches last? All matches will have a defined start time and we estimate the entire team matches will finish within 75 minutes. Click Here to see available schedule.